Item description: * See scan - perfect condition. This is one of the rarest Bulgarian orders - the Prince / King Ferdinand issue of the Merit order with swords. Made out of sterling silver. 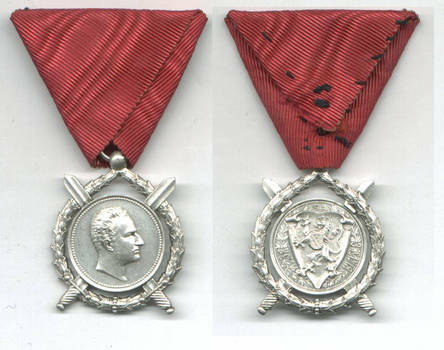 Just a very small number of these were issued and awarded to a limited number of people. This is really a true collector item.